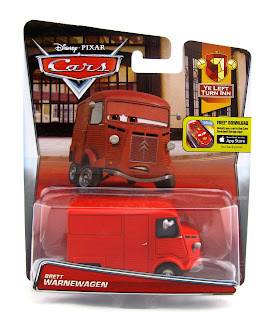 From Cars 2, here we have one the last Mattel 1:55 scale diecasts to be released last year... Brett Warnewagen! He is part of the 2015 "Ye Left Turn Inn" sub-series (#7/7). As shown in the screen shot above, Brett is briefly seen in the London pub [Ye Left Turn Inn] when Acer and Grem crash through. 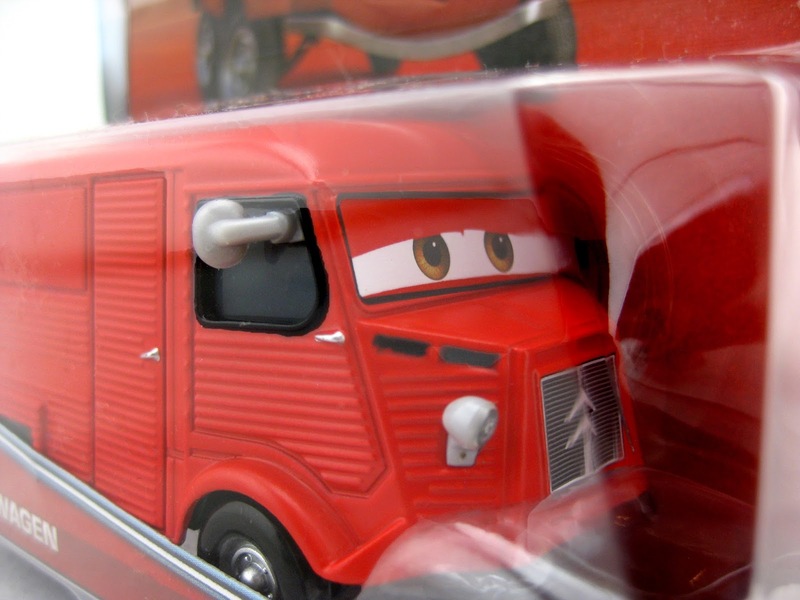 He is ultimately the same exact delivery truck model as Paul Oilkley (only this one is red instead of blue). I had a real hard time trying to track this one down, so I'm glad to have finally found him! Now I only have one more car to find in order to complete my 2015 collection. 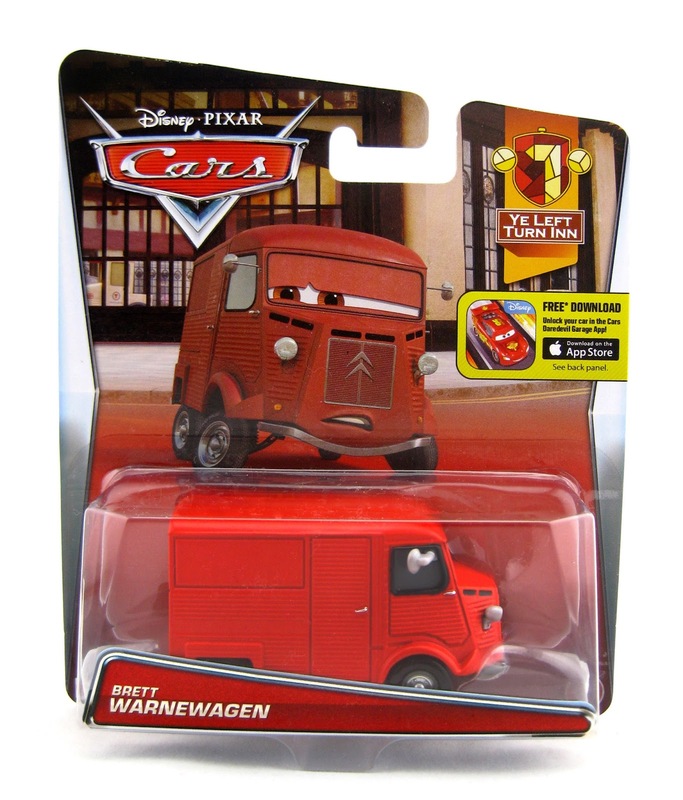 If you still haven't been able to find Brett in stores yet, be sure to check out Amazon using the link below or view current eBay listings HERE. As usual, best of luck on the hunt!